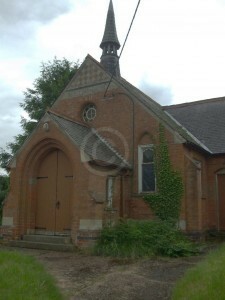 Hungarton is 4 miles north-west of Billesdon and 6 miles east-north-east of Leicester. No response from Hungarton survives to the Meeting House Return of 1829, and it is possible there were no nonconformist congregations meeting in the village at that date. 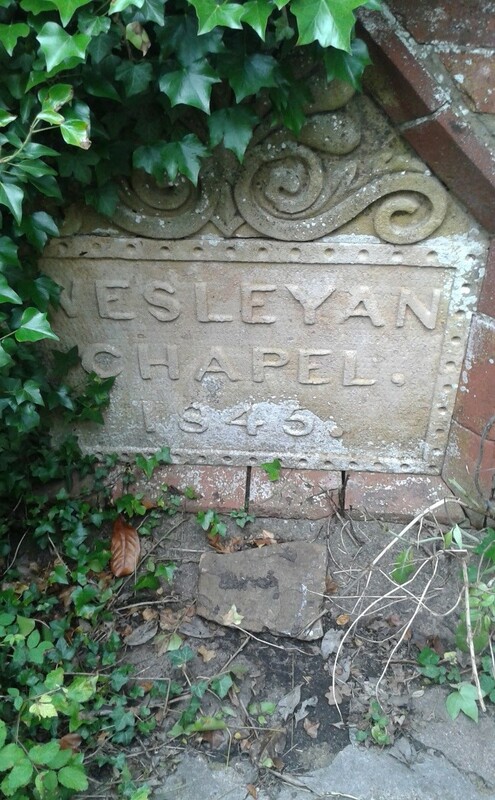 A Wesleyan chapel was built in 1845. It was a separate building and used exclusively for worship. It had 50 free and 30 other seats. On Sunday 30 March 1851 there was only an evening service attended by 34 worshippers. No further information was given on the presence of a Sunday school or on average attendances. Ordnance Survey maps (1:2,500) show that the old chapel was replaced between 1886 and 1904 by a building a little further to the north, but trade directories of the period make no mention of a new building. The old site is remembered in the street name ‘Chapel yard’. The later chapel (pictured) was a red brick building with bell, which in 2015 no longer appears to be in use as a chapel. 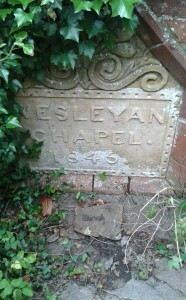 A date stone from the original chapel has been preserved within a later garden wall.